I went to an event last week that exemplifies the enormous sea-change in tech startups that is sweeping across the Central and Eastern European region. I’ll be writing about this in more depth due course. For now, suffice it to say that there is a real explosion occurring. Startups from all over the CEE region are now exhibiting or entering startup competitions in multiple locations and it’s dizzying to see the proliferation of events now. 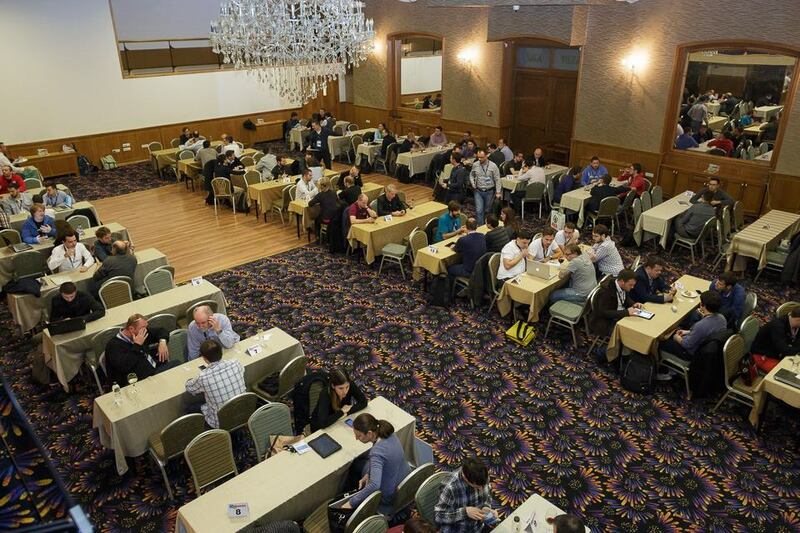 For now, it’s worth highlighting the startups that did well at How To Web in Bucharest. How To Web has been a rising star event of the Central and Eastern European scene, and brings together both international speakers and entrepreneurs from all over CEE (it’s all in English). What’s often interesting is that any of the startups there produce internationally focused products because their own countries are relatively small. Founded by the ever enthusiastic Bogdan Iordache, this year the startup competition switched moods to focus on giving the startups way more mentorship than they normally get. In other words, instead of just a few pitches, they also got to sit down with speakers and talk in-depth about what they were doing. The event remains very egalitarian in that nature, and you won’t find a single roped-off speakers-only area at HowToWeb or its receptions. Smart Hand, the developers of a prosthetic hand for disabled people, won the How to Web Startup Spotlight competition. Synetiq (an app that provides ‘reliable customer insights’) was runner-up of the competition. It does this via a hardware device for the head which measures brain impulses as people watch ads. Zzzzapp (platform that allows businesses to target, engage and monetize onsite captive customers). The startups were evaluated by expert judges including Paul Ford (Vice-President Softlayer, US), Radu Georgescu (serial entrepreneur and angel investor), myself, Daniel Lynch (Managing Partner 3TS) and Teodor Ceauşu (Country Manager IXIA Romania). The finalists received USD 20.000 cash prizes offered by IXIA Romania, the main partner of How to Web Startup Spotlight, as well as other non-cash prizes. As you can see there is a huge variance of startups here and I hope to show how CEE startups are really coming together as a forceful ecosystem, soon.